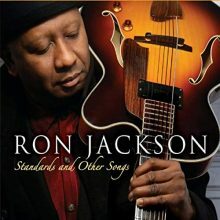 Ron Jackson, an alum of the Berklee School of Music, is a master of the six, seven, and twelve string guitars. After living as an expat musician in Paris in the 1980s, Jackson returned to New York where he is very active on the local jazz scene. 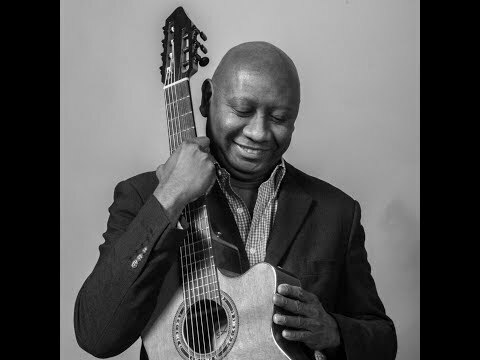 In addition to teaching guitar at Jazz at Lincoln Center and The New School, he has also performed in the pit orchestra for Broadway shows such as Shuffle Along, and Bring In `Da Noise, Bring In `Da Funk. Jackson cites a wide range of musical influences, ranging from rock guitarist Jimmy Page to jazz guitarists George Benson and Pat Metheny, and both of those sides and more are represented on Jackson’s latest project, Standards and Other Songs. Performing with Jackson are the two other members of his trio, bassist Nathan Brown and drummer Darrell Green. Standards and Other Songs is a solid piece of work that showcases the talents of master guitarist Ron Jackson while offering an assortment of jazz standards and instrumental arrangements of classic rock, soul and contemporary R&B songs. This entry was posted in Jazz and tagged 7-string guitar, Brenda Nelson-Strauss, CD review, Great American Songbook, Jazz, jazz guitar, Ron Jackson, Roni Music, Standards and Other Songs, urban jazz by aaamc. Bookmark the permalink.